This lamp is the sixth and newest addition to the Liquid Therapy Lamp Collection that will be available upon launch in late 2017. The Neon Sun's color took two years to perfect. Notice that the liquid itself is a completely different color than the glow that radiates from the surface. The mesmerizing display, captured with a gentle push of this work of art, will show you why this is the signature lamp in the series. Experience this firsthand in the short videos to the left. 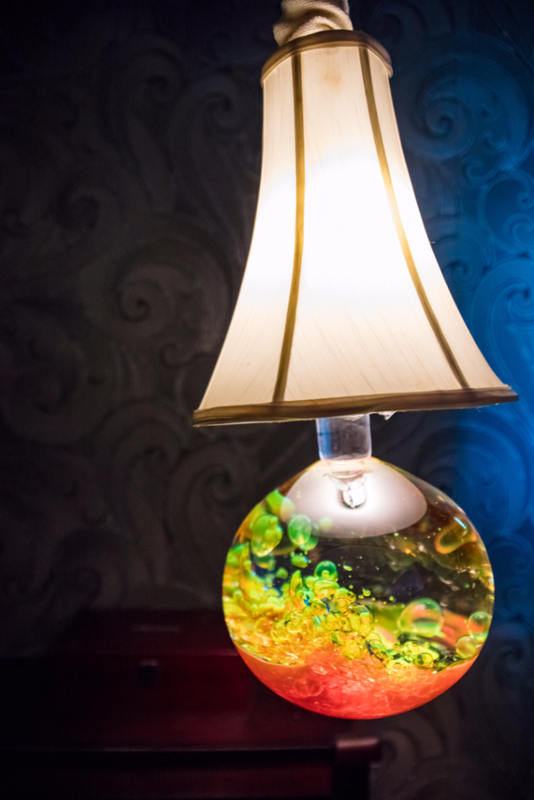 Vibrant and full of life, this lamp stimulates the eye and calms the mind. The majestic deep blue water meets the white light as earth meets the Heavens. Reminiscent of an ocean wave swirling with foam, one can feel the tranquility as the chaos ensues. As the storm calms, peace overcomes, and equilibrium is restored. See this masterpiece in action in the videos to the left. Worthy of the name due to it's Retro-futuristic look, the Steampunk LTL is actually what the earliest versions of the lamp looked like in 2010. 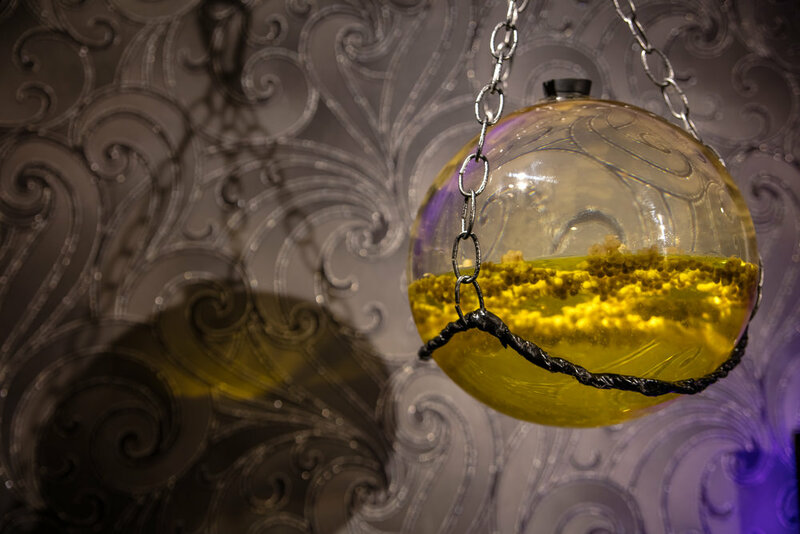 Before engineering the lamp shade as a holding mechanism, the sphere itself would rest in a custom made sling. Lighting was then added in the following years by way of Led Strips (a recent breakthrough in lighting back then) affixed directly to the glass.